Access to scientific research information is important for policy makers, governments and the scientific communities. In the agricultural domain, like many other disciplines access to latest scientific literature could enable researchers to find solutions to local agricultural problems. This could be by discovering methods and practices that have worked elsewhere in disease control, management of pests and also improving agricultural productivity through implementing innovative approaches . Yet access to scholarly literature comes at a cost, especially subscription content from commercial publishers. In most cases, to download a paper a user has to pay between USD$20 -$35 on average. According to one UN report, many people in developing countries live on less than USD$2 per day, for example in 2013, 10.7 % of the world’s population lived on less than USD$1.90 per day (The World Bank, 2016). This means that most people in developing countries cannot afford scientific literature, thanks to the UN Agencies and their partners, within the Research4Life umbrella where they provide developing countries with free or low cost access to academic and professional peer-reviewed content online (Research4Life, 2017). Earlier in 2010, the Science Report 2010 (UNESCO 2010, 285), which gave the status of world knowledge between 2005 and 2010, stated that sub-Saharan Africa produced 11,142 scientific articles in 2008,and South Africa produced almost half (46.4 %) of that total, followed by Nigeria (11.4 %) and Kenya (6.6%). 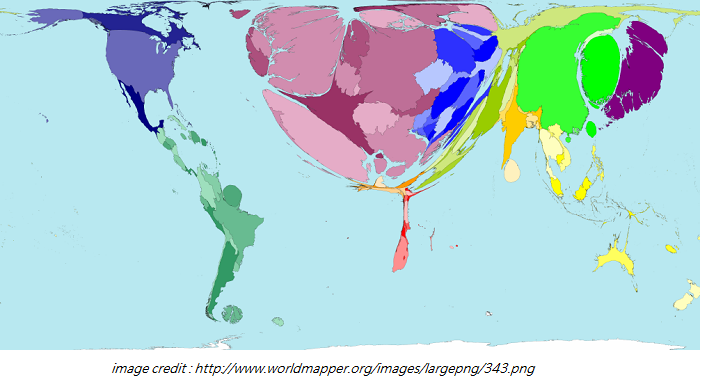 The global knowledge production output was estimated in the diagram below, using books from the worldmapper.org, showing a warped global south when compared with global north. If you are interested in this debate read here. 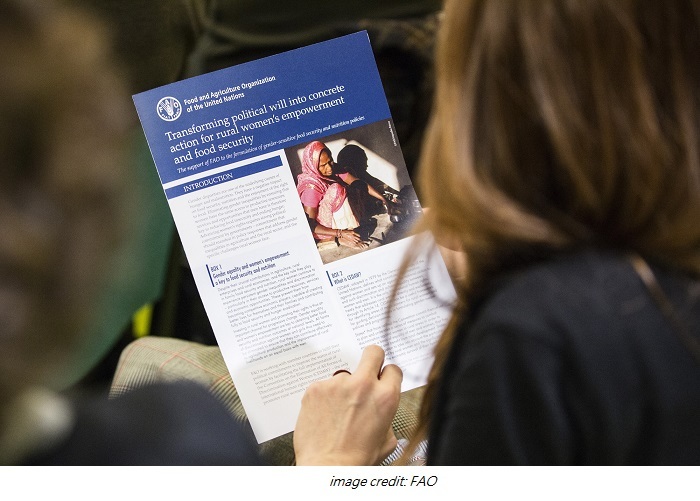 In the agricultural domain, the Food and Agriculture Organization of the UN not only produces agricultural advice, but also curates and shares agricultural knowledge. 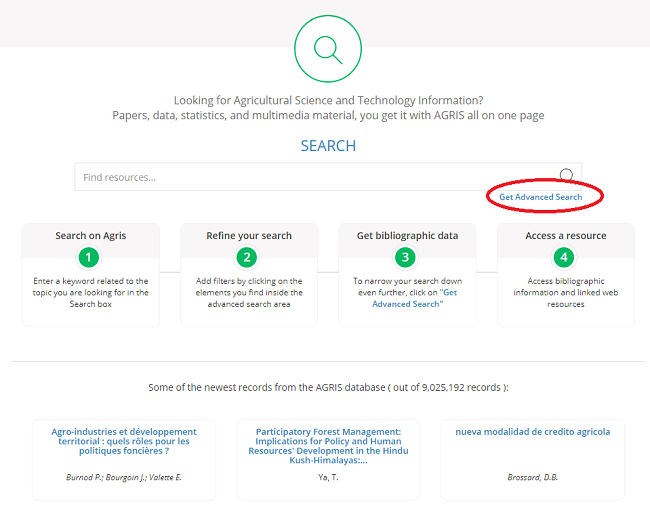 Through AGRIS, the International Information System for the Agricultural Science and Technology, a global database that provides access to bibliographic information on agriculture, science and technology. In September 2017, AGRIS reported more than 9 million records (9,025,192) and these come from 140 countries and contributed by 350 data providers. Of the 9 million records, 5.5 million are from journal articles; 34,866 from books; 287,724 from conference papers; 368,536 from bibliographies and 65,386 from Thesis. AGRIS content covers over 140 countries (8,696,134 records) to be specific and 329,058 other records from other geographically unspeficied countries. We classified these countries by Group A or Group B using the criteria that Research4Life (read more here) describes access to its resources. This will be implied to mean these are from developing countries (or global south). Read about the Group A and Group B here. AGRIS content comes 50% (72 countries) from developing countries and 50% (72%) from developed countries. With regards to the earlier group, is comprised of Groups A and B, with A having most countries in sub-Saharan Africa (except South Africa) and also in this group a few American countries – these include Guatemala, Haiti, and Honduras. While Group B is represented by 19% of the countries in AGRIS, with mostly countries from South America and North Africa and some countries in Americas – i.e Suriname, Paraguay and Jamaica. 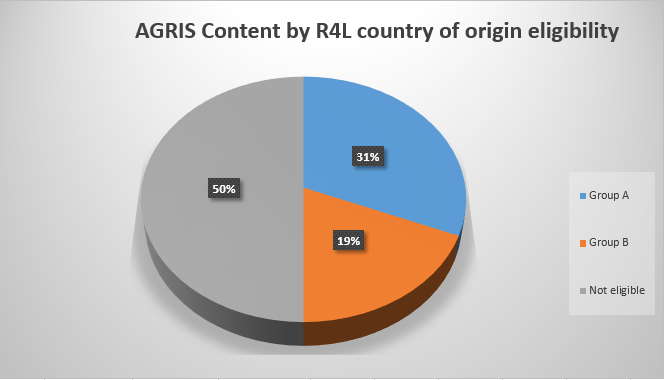 In summary, this shows that AGRIS content comes mostly from economically developed countries (in this case ineligible to R4L and Group B) representing 69% of the sample. This means that there seems to be a correlation between economic stability and knowledge production rates. Or inversely, this could mean that research output (if it is there) from developing countries is not captured in AGRIS and other online sources. It is important to note, that since AGRIS does not collect full text - but only bibliographic data, it is an excellent repository for indexing and pointing location to this unpublished science (follow this debate here). The following are the top ten contributing countries to AGRIS, and the top being the US, followed by Italy and China being the 10th. Comparatively you can read here the top 20 countries for scientific output, although the data is for 2010. How to browse AGRIS Content by country of origin of the record? 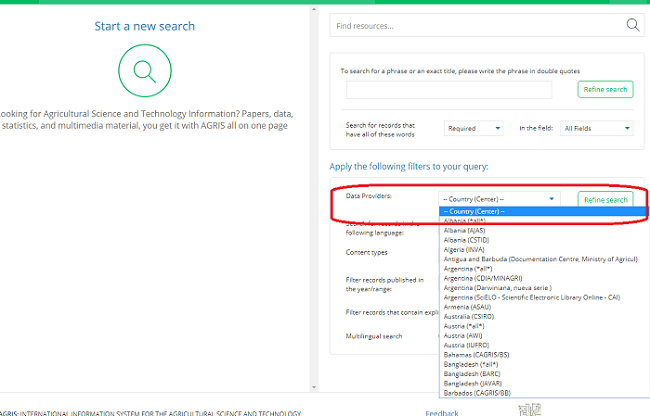 Then choose under Apply the following filters to your query , Data providers, and then filter by country. In cases where a country has many data providers choose the option that aggregates the country. For example, Austria (*all*). Why not try this and let us know.